Throughout Asia, the education needs of children with disabilities are approached in different ways, with varying commitment and success. Developing a capacity to provide relevant education to mentally or physically impaired students is a continuous challenge in countries with plenty of resources available; in poorer countries, it may become an issue that is ignored. Often, normal schools cannot cope with the added demands of educating special needs kids and they are marginalised, with parents expected to either home tutor or pay specialist school fees. Learning constraints include a wide range of causes, from deaf and blind children to children on the autism spectrum. Different types of special needs require teachers to be trained a specific skill set. However, the severity of the disability should also govern the capacity of mainstream education to accommodate these children. 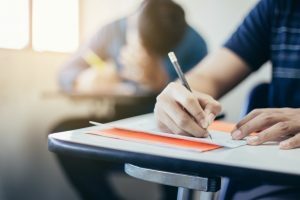 In Singapore, the recent Compulsory Education Act means that all children between the age of six and 15 are required to attend school unless granted an exemption, by the government, on a case-by-case basis. The Ministry of Education identified 1,770 special needs children this school year. It broke the number down, with 75 per cent identified as having mild special needs. Examples of mild special needs include dyslexia and Attention Deficit Hyperactivity Disorder (ADHD). This group will be integrated into mainstream education. The remaining 400 children, with moderate to severe conditions, will be sent to volunteer-run, government-funded special education schools (SPED). Children assessed as unable to attend SPED, estimated at 10 per cent, will be encouraged to be home tutored or sent to a private special needs school. Singapore is a small, wealthy city-state that can afford to experiment and provide universal coverage over a small area relatively easily. In the larger, more populous and widely spread islands of Indonesia, providing good education courses for special needs children is more difficult. In Indonesia, mainstream schools have been unable to accommodate special needs students. Other options were limited. In the early 2000s, between 76 and 83 special education schools covered the 922 permanently inhabited islands. In reality, this resulted in fewer than 10 per cent of special needs children receiving a formal primary education; no secondary schools had the capacity for special needs. Since then, the government has made a concerted effort to tackle the problem. By 2017, 2,070 special needs schools, including 74 secondary schools educated 121,244 students. The schools are known as Sejolah Luar Biasa, which translates as extraordinary schools. However, the success of the schools is patchy, and the demand still exceeds supply. The curriculum needs updating, and the current teachers’ curriculum guidebook not easily available. 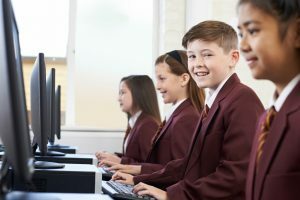 Teachers need additional training and find it difficult providing good education whilst coping with a range of special needs from pupils in the class. Finally, government resources are limited. With special needs education a large and complex issue, and with a multitude of ideas providing useful pointers to the way forward, networks of like-minded practitioners and academics have given the sector a way to pool knowledge and adapt theories into practical, country-specific policy. As well as the large multilateral donors like the World Bank supporting discussion, other networks have developed regionally. The provision of education to special needs students in Asia has been neglected in many countries for too long. The current enthusiasm and support in parts of Asia needs to be repeated to the rest of the region.